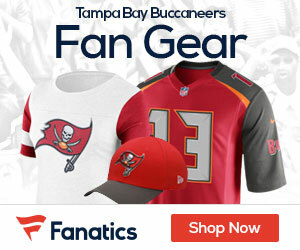 « To Meet Salary Requirements, Could Tampa Bay Sign Asomugha? ESPN talks today about the needs of the teams in the NFC South, with the Bucs needing OL, CB and running back. Here’s the comments of what Scouts Inc.’s Matt Williamson thinks about the Bucs. Williamson lists offensive line, cornerback and running back as the biggest needs. Offensive line could be a huge need if guard Davin Joseph leaves via free agency. Even if he stays, the Bucs could use some help in this area. Cornerback is a bit of an uncertainty because we don’t know if Aqib Talib will be disciplined or if the team will part ways with him. I do like young corners Elbert Mack, Myron Lewis and E.J. Biggers and think they could combine with veteran Ronde Barber to give the Bucs decent play at cornerback, especially if Tampa Bay can generate any type of a pass rush. I also like the fact Williamson lists running back as a need. A lot of people tend to assume that the Bucs are fine with LeGarrette Blount. He’s very good, but there’s very little depth behind him, especially if Cadillac Williams leaves through free agency.